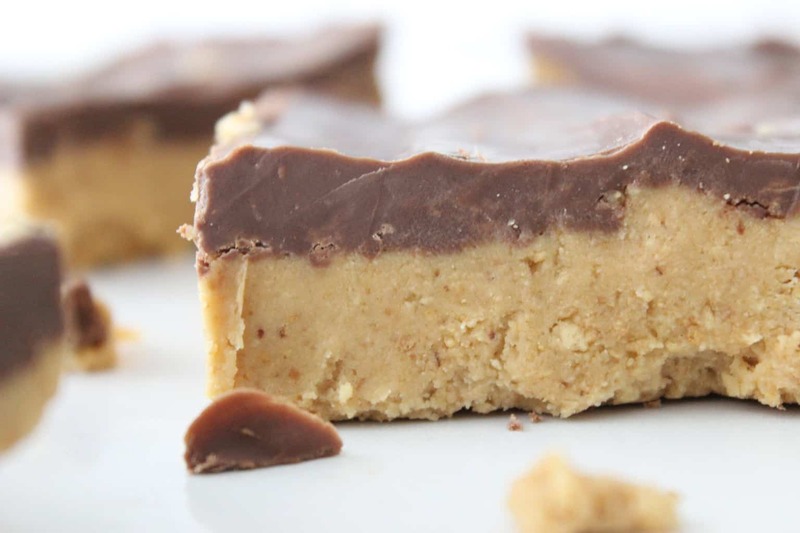 These Reese’s peanut butter bars taste just like the Reese’s Eggs, only bigger and better! Your whole family will love this easy no bake treat! 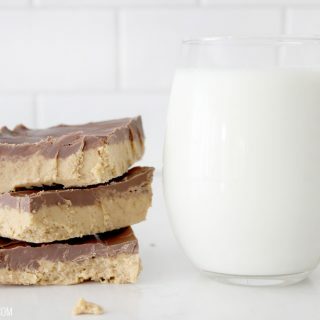 A sweet neighbor of mine shared these Reese’s Peanut Butter bars with us years ago and they were an immediate favorite! I asked for the recipe right away and we could hardly hold back from making them the very next day again. 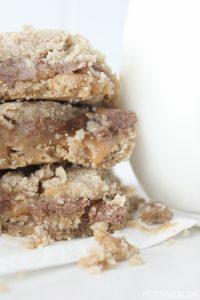 Well, since today is national peanut butter lovers day I figured it was only fitting that I share my very favorite peanut butter centered recipe with you today! I was honestly shocked when I first I made these Reese’s peanut butter bars for the first time and realized how dang easy they were to make! These babies have everything you love about a Reese’s cup, with minimal effort, and the ability to feed a crowd! I mean, it just doesn’t get better than this! For the photos I cut them into large, brownie size squares, but they are honestly so rich you can cut them much smaller than that and still have a yummy treat! 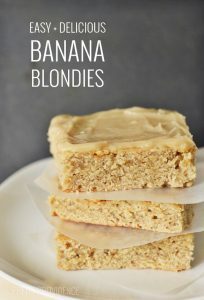 So, they are perfect to share with friends and neighbors, or to bring to family parties and gatherings come holiday time! Are you ready for the recipe?! 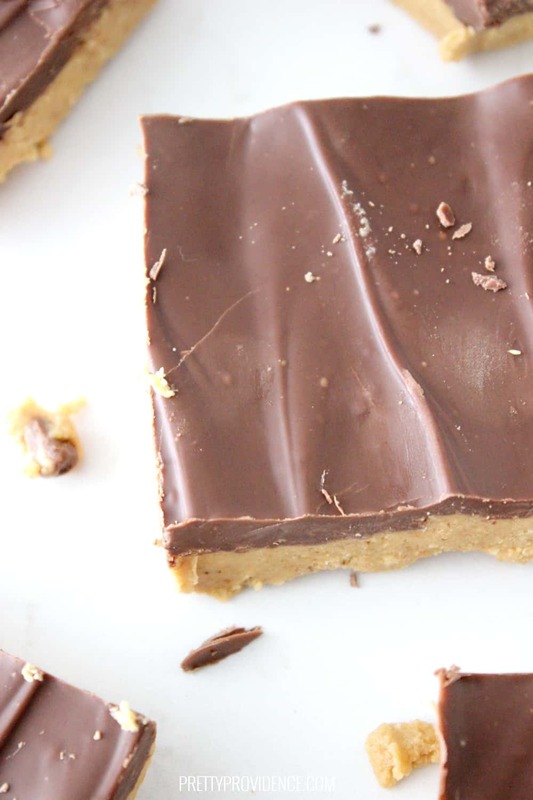 These Reese's peanut butter bars taste just like the Reese's Eggs, only bigger and better! 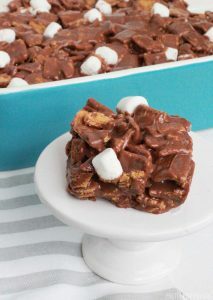 Your whole family will love this easy no bake treat! In a bowl or bosch mixer mix together butter, graham cracker crumbs, powdered sugar and 1 cup of your peanut butter until combined. 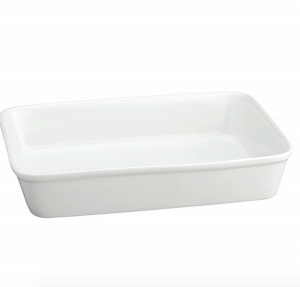 Press into the bottom of an uncreased 9x11 baking dish. 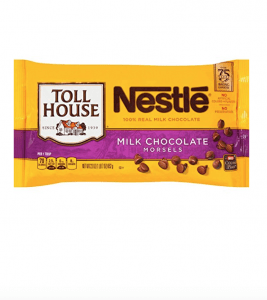 Melt together your chocolate chips and the last three tablespoons of peanut butter until smooth and well combined. 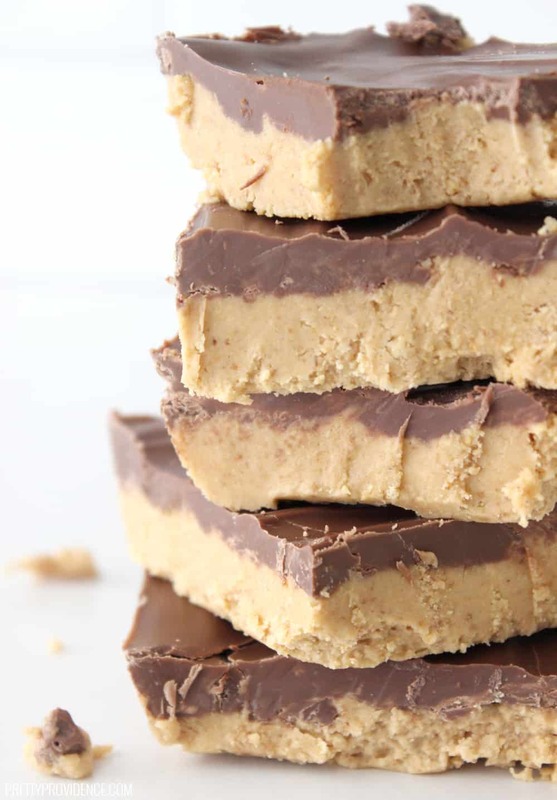 Spread over the pressed chocolate layer over the peanut butter layer and refrigerate for 15-20 minutes until hardened. Enjoy! 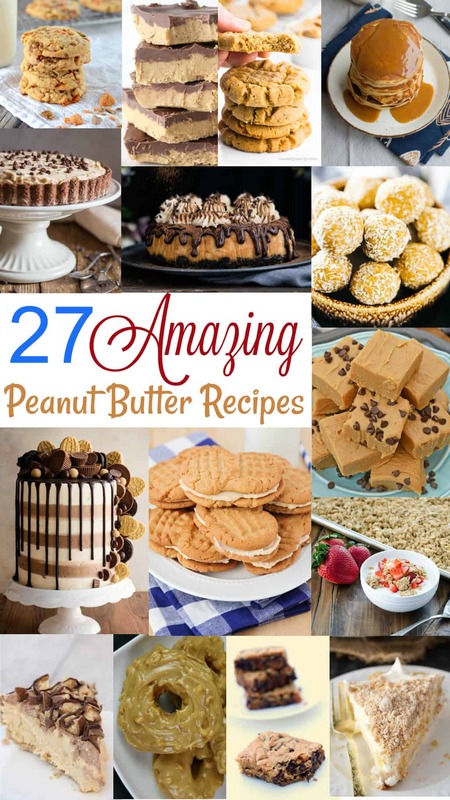 Also, if you love peanut butter as much as I do, you should check out these other amazing desserts that my friends are sharing today, because they are peanut butter lovers too! 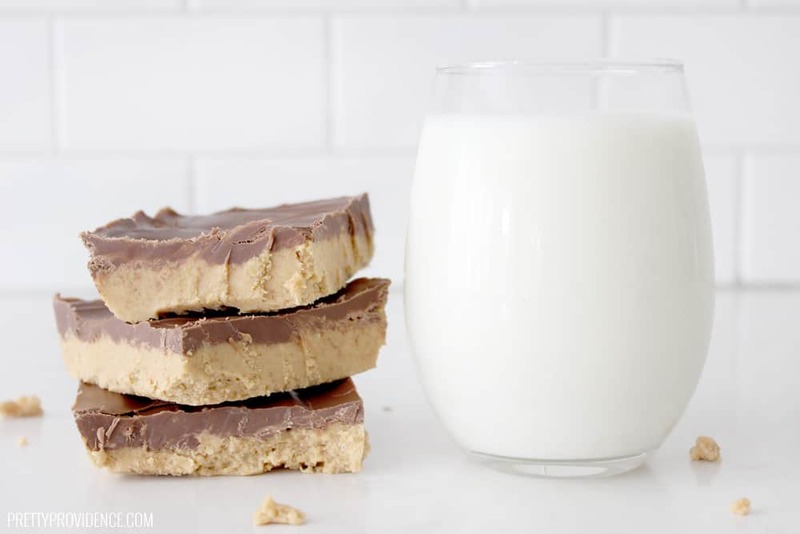 These peanut butter bars are so easy, delicious, and make for a perfect treat anytime you hve a craving for peanut butter and chocolate! I agree, they are perfect! Mmm peanut butter and chocolate are a match made in heaven! Seriously, though! It’s the best combo! I think its fate I had everything to make these…. as I sit here now trying to save some for my nieces who are coming over! They were so easy and needless to say I LOVE them! 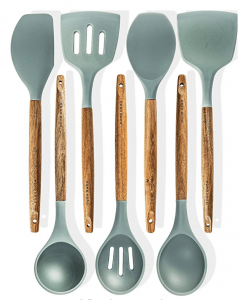 YAY – it was meant to be!